Buy Huawei Mate 8 at the cheapest price in Nigeria. 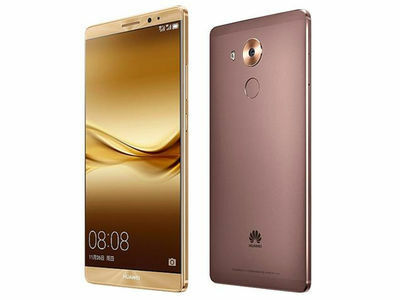 Check Huawei Mate 8 specs and prices in Nigeria online. Latest Huawei Android Phone available on Jumia. Huawei Mate 8 was released in November 2015 to the delight of android lovers as it runs the latest android version 6.0 (Marshmallow). It’s quite gigantic at 6inches and serves as the successor to the Ascend Mate 7. It has a fingerprint scanner at its back just below the circular camera. With a satisfactory 4000mAh battery capacity, this one of the best devices the year 2015 has seen. It has Corning Gorilla Glass 4 for protection and optional dual sim (Nano-Sim, dual standby).